Editor's note: Following the growing trend of skin-bleaching in Nigeria, the editor tries to bring to the light some of the factors encouraging these practices and how the Nigerian society plays a vital role in the miseducation of the people as regards colourism and self-acceptance. According to medical reports, skin bleaching agents have both internal and external effects on those who use them. The dangers associated with the use of toxic compounds for skin bleaching include blood cancers such as leukemia and cancers of the liver. Systemically it causes things like kidney failure because of the mercury in some of the products. The World Health Organization has reported that Nigerians are the highest users of such products with 77% of Nigerian women as consumers of bleaching products. Togo follows with 59%; South Africa with 35%; and Mali at 25%. While this is alarming, what is mind-boggling is the fact that despite the presence of ads and campaigns sensitizing people about the health risks involved in skin bleaching, these practices only seems to be on the rise. "The 'melanin popping' praises are as much a scam as the #buynigeria movement." I was having a conservation with a friend about skin colourism in Nigeria and this was her response. Basically, the point she was trying to make was that the society only promotes dark skin and made-in-Nigeria goods in theory and as is the case today; on social media. I couldn't agree more. Going through social media, it appears there is a re-awakening in the African nation about the need to take pride in our heritage. We are learning to embody and celebrate our culture, more women are wearing their hair in its natural form and there is a growing appreciation of dark-skinned women who now wear their skin with pride. Sadly, the appreciation of dark-skinned women in reality falters terribly in comparison to the energy displayed online by the Afrocentric community. I remember seeing a young girl, probably around the age of 12, hawking a big tray of plantain chips. Her mahogany skinned was so radiating, it probably drew more attention than the goods on her tray. As I watched the girl move from one car to the other with the ease of a seasoned salesperson, I overhead the guy sitting beside me say: "See black beauty! Give am three years now when her eye don tear, she go turn yellow pawpaw finish". You see, in today's society, light skinned women are considered valuable, more attractive and perceived to be more successful than women who are several shades darker. It is not the same for men as their success is not judged by physical attraction. Most women who bleach their skin will tell you they do it to feel more beautiful and attractive because that's the only way one is regarded as "fresh" or "glowing". It is hard not to see this as a byproduct of either miseducation, self-esteem issues or both. There are men who are unapologetic about their preference for light-skinned women over dark-skinned women as they find them more attractive. Now this could either be an innate and natural desire or one built off of society's perception of the dark-skinned woman. These same men will tell you they would do anything to end up with a light-skinned woman so their future children can be "beautiful". 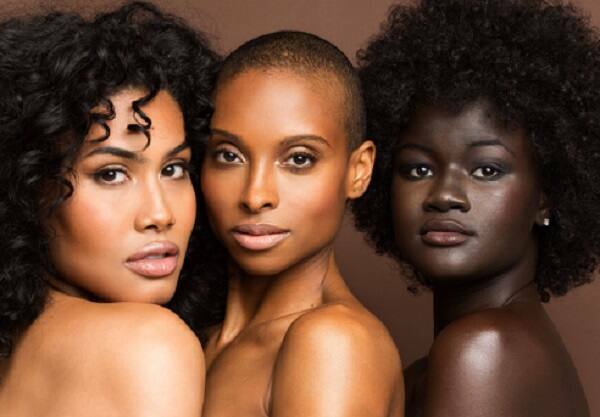 Believe it or, there are actually some organizations who favour light-skinned women over other shades of beauty. A few days ago, a job advert went viral on the internet as one of the requirements emphasized on being light-skinned as an advantage. During my industrial training at a TV station, I remember how they brightened up a presenter with the lights just so he could look 'clearer and viewer-friendly'. The same thing can be seen in the selection of models used for the famous Delta Soap adverts; all exceptional light-skinned women. I would have been less confused and angered if the soap was actually a skin-lightening soap hence the need for proper representation. However, the ad agency knew that was the only way to get people's attention and create a lasting impression in the minds of men and prospective consumers. Take a look at some of the most popular movie stars and video vixens, they are hardly ever dark-skinned. This particular example was clearly reflected in the story of a Nigerian model who called out singer, The singer never responded to the accusations. With all of these instances, it is amusing how people sit and wonder why the business of skin-bleaching continues to be successful, raking in millions for vendors, why , American star and skin-bleaching ambassador, Blac Chyna, still received a warm welcome when she came to Nigeria to promote her bleaching products. Believe it or not, the people who discriminate against dark-skinned women are the same category of people who criticize and condemn skin bleaching. These are the same people who drop compliments like '#melaningoals', 'African beauty' online, praising dark-skinned women. Why then, do we often discriminate against something we claim to love? This is because we have been taught to hate our skin. We have been taught to question our beliefs about race, beauty and skin tone by western consumer culture that are solid through today's global media. Mass media and movies consumed in the sub-Saharan regions are predominantly American and European so, we take in these images and mimic these practices of colourism in our own media. This explains why a typical Nigerian man would pick a product with a made-in-china tag over one made in Aba. This is the same reason we have billboars showing white people advertising products because for many people, being white or foreign represents authenticity and superiority. We echo the message we receive and encourage the system that excludes dark skin from the spectrum of beauty. What we fail to realize is that, westerners made these dominant cultural ideologies for themselves. Ironically, some white people want darker "tanned" skin as for some reason, they see it as a sign of wealth. I don't know what screams irony more that this. People who associate light skin with positive virtues and dark skin with negative ones simply lack the psychological resources to comprehend the overwhelming images presented to us everyday by the constant western education. In my opinion, the real solution to this impending and inevitable health epidemic is not to as it will only encourage black market sales which will be even more hazardous since there is no regulation and they are not properly tested. Rather than swallow every western ideology, we as a society must learn to promote more beliefs and ideologies that represent who we truly are and what we stand for. It is self-destructive to conform to anything that promotes the belief that only one skin-tone defines the acceptable standard of beauty. We need to stop condemning and start embracing who we truly are. It is left for us and us alone, to change this growing fallacy. This opinion piece was written by Caroline Yaakugh. Disclaimer: The views expressed in this article are the author’s own and do not necessarily represent the editorial policy of Legit.ng.